It is 6.30am, and, at Meadfoot Bay on the outskirts of Torquay, I’m swimming with nature writer Philip Hoare. As the sun rises above the headland, we make our way out through the still, sky-bright water in the direction of East Shag Rock. Hoare tells tales of the historic figures that haunt these shores: Oscar Wilde, Elizabeth Barrett Browning and Wilfred Owen, who swam here as a teenager more than a century ago. It’s a remarkable, if bracing, way to begin an arts experience. 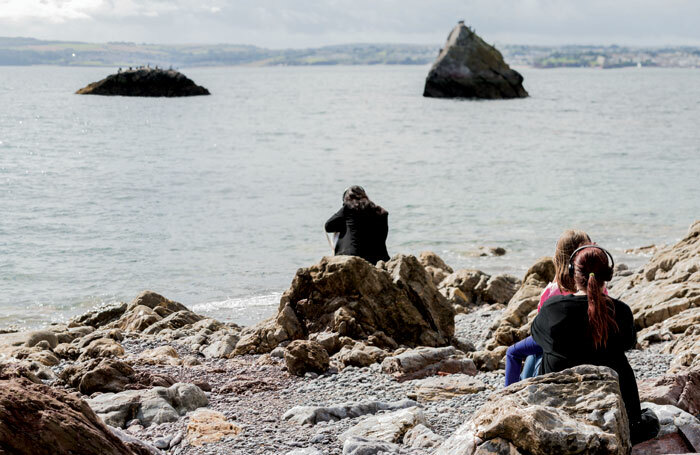 Torbay, the deep bay that stretches from Torquay to Brixham, is like a “proscenium arch, overlaid with cultural and natural stories”, Hoare adds. The perfect setting, then, for The Tale, a major new outdoor arts event created by Situations, the Bristol-based group dedicated to producing work inspired by place. Throughout the day – or during a weekend, for those who prefer a more leisurely pace – audiences follow a trail of nine specially commissioned performances, experiences and installations by internationally renowned artists, staged along this 10-mile stretch of South Devon coast. 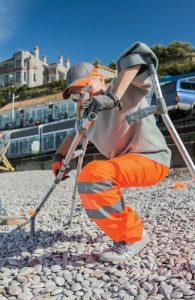 The enterprise came about when Doherty and her team were invited by English Riviera Geopark to create a proposal for a large-scale arts project for Torbay, which was developed with funding from an Arts Council Ambition for Excellence Award. While The Tale, like all of Situations’ projects, is a one-off, it is intended that the partnerships, ambition and investment of hundreds of locals will lead to further cultural activity locally. Hoare says: “I would like people to think – especially the young, but anyone – that culture is not an add-on. It’s essential to human experience. Rather than bringing a new narrative to Torbay, the aim has been to draw out an array of stories from the area, and Situations has worked with 15 local partner organisations to create the project. “There is a strong politics about the different voices of a place,” Doherty says. Why bother having a building when an entire country could be your theatre? National Theatre of Wales has presented plays on beaches, mountains and town squares. We’re Still Here runs September 15-30 in Port Talbot’s disused steel works. Slunglow’s epic, year-long show, The Flood, is partly staged in Hull’s Victoria Dock, and features a cast of 58, four boats and a 35-foot petrol explosion. Part Four takes place September 26-29. Cornish-based WildWorks has presented shows around the world, from harbour walls in Newcastle to castles in Belgium. It spends months developing projects in situ, firmly rooting work in the local community. Artichoke’s hugely ambitious public artworks includes The Sultan’s Elephant – which shut down central London for four days while a giant, puppet elephant passed through, witnessed by more than one million people. Simone Kenyon’s Into The Mountain takes inspiration from the writing of iconic mountaineer Nan Shepherd, investigating overlooked stories of women in the outdoors through dance and performance taking place in the Cairngorms. There have been several recent arts-led regeneration enterprises on the English coast, bringing new vitality to long-neglected seaside resorts like Margate and Hastings. Yet, some of these projects have been accused of failing to benefit the local populations or work with local artists. The Tale has sought to avoid these pitfalls. Melbourne-based theatre company One Step at a Time Like This has collaborated with a group of young locals to consider the distinct perceptions of Torquay held by summertime visitors and the community that calls it home. The result is Immergence, an immersive theatre tour that leads its participants, via audio guide, to the grubby corners hidden from tourists: a desolate car park, a back alley plastered in graffiti. 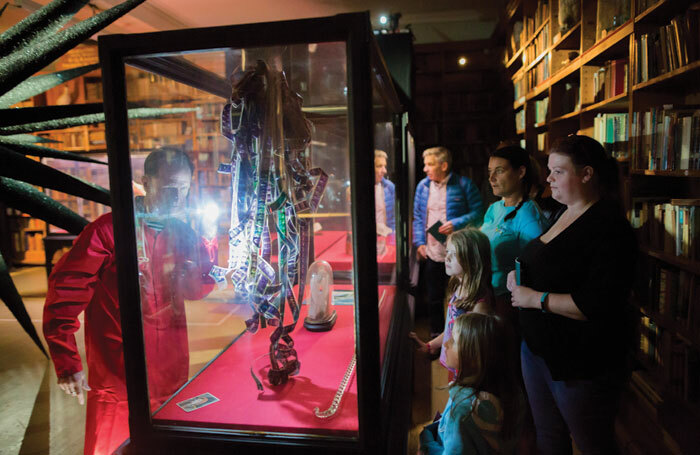 Proposing the whole world as a potential site for artistic, theatrical encounters invites audiences to respond to everyday things with an attention normally reserved for the gallery or the auditorium, its organisers say. Artistic associate Andy Field, who worked on The Tale during its early inception, believes that staging theatre and performance outside can bring a unique perspective to rural landscapes. “We tend to have very pictorial relationship with locations like this which can negate the community, the violence, the complexity. Performance can animate the hidden richness of place,” he says. Situations’ work has been influenced by pioneers of outdoor arts, Doherty says, including the “scattered site exhibitions” of Mary Jane Jacob. The American curator’s 1991 exhibition Places With A Past treated the entire city of Chicago as a gallery, with 17 new pieces from artists including Anthony Gormley and David Hammons, responding to local history. 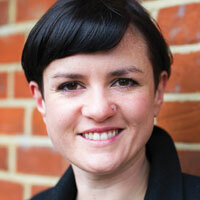 Doherty also cites theatre director Robert Wilson’s Walking at the 2012 Norfolk and Norwich Festival. Its audience, stripped of watches and mobile phones, traversed a three-mile stretch of Norfolk countryside at an unhurried pace of just one mile per hour, taking in installations and absorbing the landscape around them. Making my way along the coast by foot and by ferry, I visit Paignton’s grand, disused picture house. It is the backdrop for Britt Hatzius’ In Order Not To Be There, where we sit in the pitch dark and listen the words of local primary school children describing an imagined film. Later, I clamber down a steep track to an abandoned quarry on the cusp of the ocean. Lying on my back in the grass, I’m surrounded by a soundscape created by BAFTA-winning wildlife recordist Chris Watson. The song of orca whales echoes, eerily amplified by the vast shell of carved-out stone. Creating art work in a landscape that is, at points, inhospitable, presents significant challenges in terms of ensuring the widest possible audience can engage. Situations has partnered with Unlimited, a support programme for disabled artists, and British Sign Language-led tours and audio-described tours take place throughout the run. It has also inspired creative reflection on the question of who has access to these types of environment. Claire Cunningham is a disabled choreographer who has typically presented work in ‘traditional’ performance spaces where, she says, “I can control how I’m perceived”. But collaborating on The Tale has led her to think about what it means “to step into a public space where I have to let go of that control”. Later, we take our places in a row of deckchairs along the edge of Brixham’s saltwater lido for Ingri Fiksdal’s Diorama for Shoalstone Pool, a meditative performance that reflects on human evolution from the sea. As the sun sets, a group of figures progress across the poolside, their hypnotic, swaying movements reminiscent of the insistent roll of the tide. 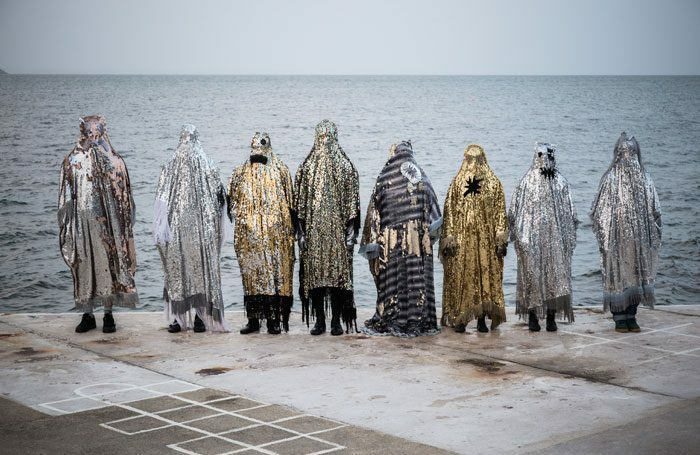 Clad in dazzling sequinned capes that pick up and reflect the colours of the landscape, they seem simultaneously alien, and entirely of this place. Hoare will be leading dawn swims for audience members in Meadfoot Bay’s bracing waters on Saturdays and Sundays throughout the run. He speaks of the experience as a “baptism… it suddenly changes things, you are physically charged by it: it’s joining the water, being part of that greater environment”. It’s the perfect introduction to an experience like The Tale: a symbolic immersion, and a joyous expression of what it feels like to belong to the world.